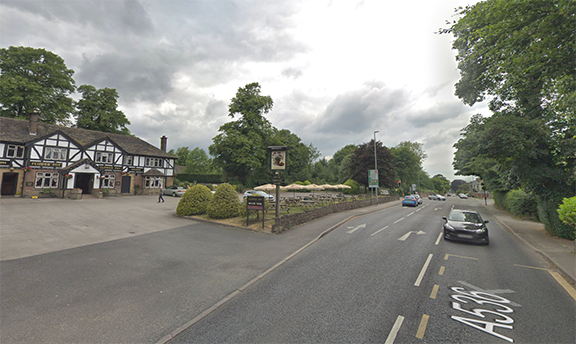 Following the recent fatality of a young motorcyclist, Caitlin Douglas has started a petition to bring East Cheshire’s attention to the very dangerous junction at The Flower Pot on Congleton Road in Macclesfield. 25/10/2018 witnessed a fatality accident involving a lorry and a motorcycle. Unfortunately the motorcyclist didn’t make it and died at the scene. Being a resident of Macclesfield and traveling through those traffic lights at least 4 times a day I strongly urge East Cheshire Council to improve the flow of traffic and protect the safety of motorists by painting designated lanes and having a filter arrow for each direction, not just the one arrow. This filter arrow currently shuts off far too quickly to allow motorists to get through, thus causing vehicles to still cross after it has turned off. Coming in the opposite direction there is no filter, meaning you taking your life in your hands trying to cross the stream of traffic, with limited visibility. There is also no lines painted on the road, meaning people are unsure where to stop and this contributes to the congestion for other trying to go straight when the car in front is turning, and also means people are more likely to take risks, again putting themselves and others in danger. This tragic accident highlights these issues and should encourage the council to rectify these problems ASAP.